My latest Hadassah Magazine arrived! 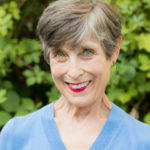 For all those years before the internet, when I was a member but too busy to get involved in Hadassah activities, that magazine— continuously recognized for its high literary standards— was all that connected me with Hadassah. Today, if you only have time to read one article in the current March/April edition, I encourage you to turn to page 12 and read “Women’s Work: Resisting Anti-Jewish Hate/Standing on the shoulders of queens, poets, and activists”. Besides reading about Hadassah’s ongoing position against anti-Semitism, you will find out why in 1948, then Hadassah national president, Rose Halprin, ordered the construction of the Round Building, the cornerstone of a new hospital in Jerusalem at Ein Kerem, completed in 1961. For more than a century, the Hadassah Medical Organization has defined health care in Israel. Our hospitals have been bringing compassion, healing and advanced medical care to all of Jerusalem and Israel—regardless of race, ethnicity or nationality. DAYENU. However since 1960, as the population of Jerusalem has tripled, the medical demands on Hadassah Ein Kerem have also grown exponentially. 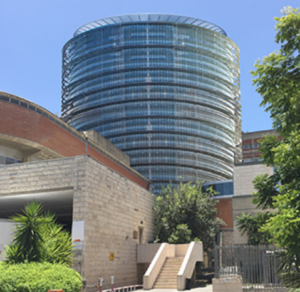 To support this growth and the Jerusalem Gateway Project—bringing over 40,000 people to the area—Hadassah has completely reimagined the iconic Round Building, the hospital’s original inpatient center. 360 Degrees of Healing, Hadassah’s new vision for the Round Building, will: increase the number of patients served each year, ensure a higher level of patient care, renovate 17 operating rooms, expand treatment offerings, allow for upgrades to combine research and clinical services, and more. To watch the video for the 360 Degrees of Healing Campaign, click here. I hope you will join me in a commitment to healing. Read on and you’ll learn how you can make an exciting 360 Degree difference. We all want our Financial Health to Thrive and we all want Hadassah’s life-saving and life-enhancing work — in Israel, the United States and the world — to Thrive. How to manage it? 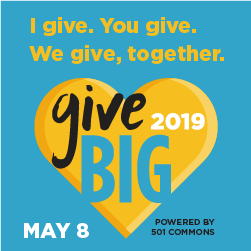 Annual Giving! We can each choose a comfortable level on a planned monthly basis or, optionally, once a year, to help sustain Hadassah and ourselves! Choices include: Chai Society, starting at $15.00 per month, to Keeper of the Gate, starting at $83.33 per month. 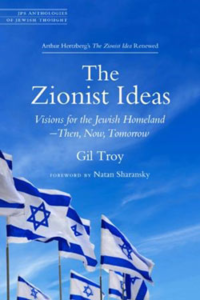 Join us for the second meeting of the Zionist Book Club as we continue discussions on The Zionist Ideas: Visions for the Jewish Homeland – Then, Now, Tomorrow by McGill University Professor Gil Troy. Professor Troy’s book examines Zionism through six lenses, each corresponding to a school of Zionist thought: Political, Revisionist, Labor, Religious, Cultural and Diaspora. This book will be discussed on March 6, April 3, May 1, 15, 29, and June 12. 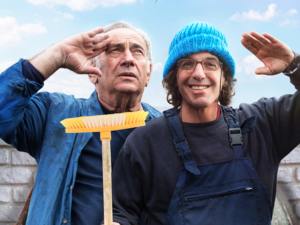 For more information about this film and to purchase your ticket click here. Tributes to Hadassah can be made online here. Do you have news of family events to share with us? We are happy to include announcements about weddings, bar and bat mitzvahs, birthdays, births, and passings in the Membership News section of our monthly newsletter. Please send notices to Seattle@hadassah.org.